Civil Ceremony in Perugia can be held in The Walter Binni Hall. 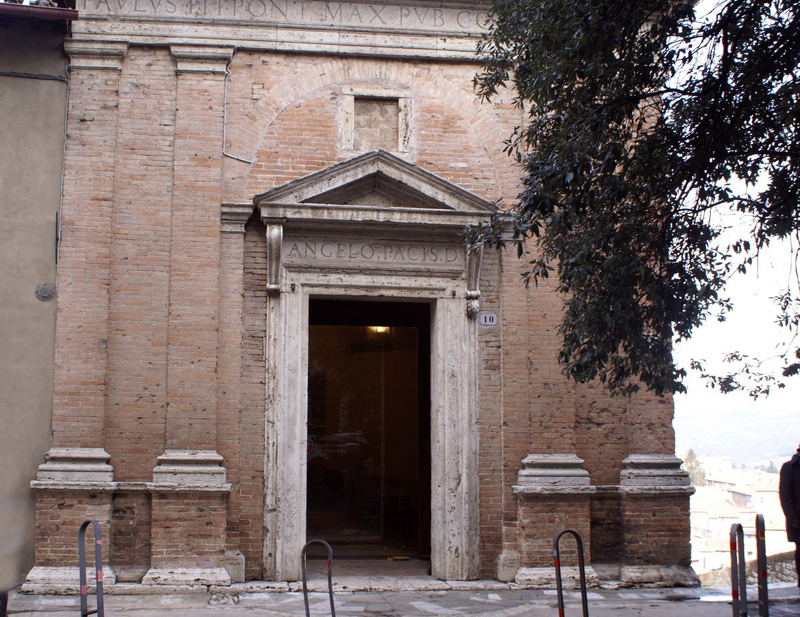 It was formerly the church of Sant’Angelo della Pace in Porta Sole, designed by the architect Galeazzo Alessi in 1550. It faces on one of the most beautiful views of Perugia. 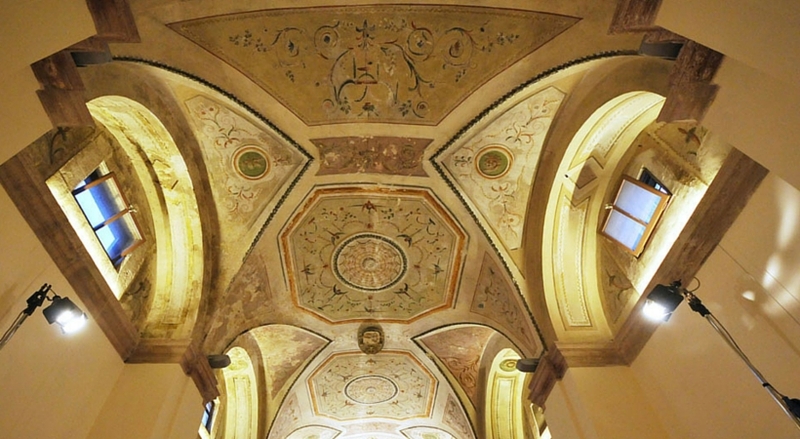 The room has a fully decorated ceiling, the recent restoration works have revealed the frescoes on the ceilings and walls with themes inspired by natural elements, with festoons and grotesques. After the restoration it today hosts public activities of the Library and having sixty people capacity it is perfect for small weddings. Contact us for additional information about civil ceremony in Perugia!